All types of welding are in the Metal Fabrication & Joining Technologies Department, such as Gas Tungsten Arc Welding (GTAW), Gas Metal Arc Welding (GMAW), Oxy-Acetylene Welding, Brazing, and soft soldering. A variety of other metal working machines such as a Chicago Box and Pan Brake, Pedestal Grinder, Plasma arc cutting unit, Hossfeld Bender, and an ornamental iron forming machine. The welding/fabrication shop fabricates a variety of projects for different businesses in the surrounding area, as well as for residents of the community. 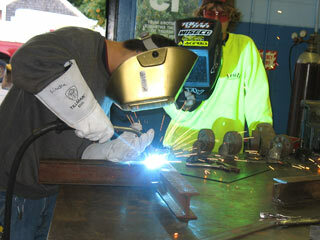 We train our students to be able to enter an apprenticeship program in any of the building trades. In the past, we have had students enter into the Sheet Metal Workers Union, Plumbers and Steamfitters Union, and the Dock Builders Union in Boston, Mass. We are capable to have welders that are experienced enough to take the American Welding Society Certified Welding Test to become a certified welder. The test is given through Carroll Engineers in Ballardville, Mass. ROCHESTER (8/17/01)– The welding department at Old Colony Regional Vocational-Technical High School continues its membership in the American Welding Society as an educational institution member. The American Welding Society is the largest organization in the world dedicated to advancing the science, technology and application of welding. The society is committed to providing leadership and services to global members and works to serve and coordinate the joining industry in matters of codes, standards, materials, education, certification and research. The welding department membership includes free welding journals, welding handbook, updates on the Jefferson’s Welding Encyclopedia, and opportunities to visit the latest equipment at the society’s International Welding and Fabricating Exposition. The membership also offers a discount on more than 120 society-sponsored seminars and conferences across the United States and abroad. Old Colony will maintain the standards of methodology set by the American Welding Society in its Metal Fabrication Welding curriculum. Students will have the opportunity to obtain more than 150 standards, either as code recommended practices, guides or specifications. Students will also be able to achieve national standards and recognition through the society’s Educational Institution membership upon the completion of the welding program at Old Colony. ROCHESTER — Old Colony Regional Vocational Technical High School Welding Department has established a continued membership in the American Welding Society as an Educational Institution member. The American Welding Society is the largest organization in the world dedicated to advancing the science, technology and application of welding. AWS continues to be committed to providing leadership and services to global members and works to serve and coordinate the joining industry in matters of codes, standards, materials, education, certification and research. Membership in American Welding Society benefits the Welding program by providing free welding journals, welding handbooks, updated Jefferson’s Welding Encyclopedia and opportunities to visit the AWS International Welding Fabrication Exposition. 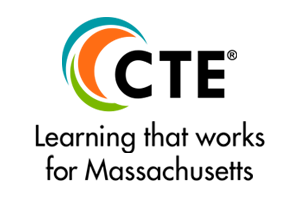 Membership in the AWS also includes discounts to over 120 AWS sponsored seminars and conferences across the U.S. and abroad. 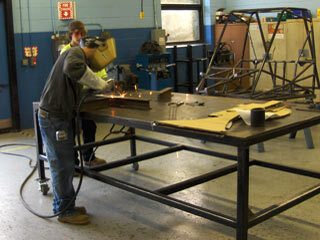 Old Colony’s Welding Department maintains the standards and methodology set by the American Welding Society. Students obtain more than 150 standards in code recommended practices, guides and AWS specifications. Upon completion of Old Colony’s Welding program, students are able to achieve national standards and recognition through the AWS Educational Institution.